This stunning knitted necklace is an attention grabber. 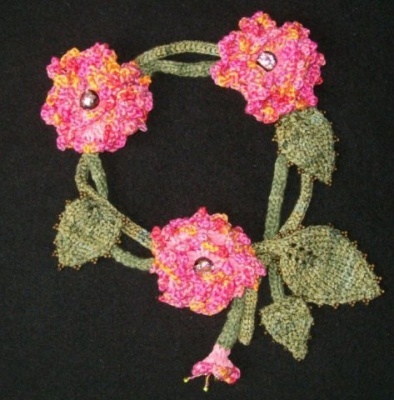 Designed by Maryanne Gross, this knitted accessory is fun to wear for any occasion. Choose yarn from your stash, or indulge in a skein or two of something luscious, then top it off with beaded accents. This chic piece of wearable art is different each time it 's made. 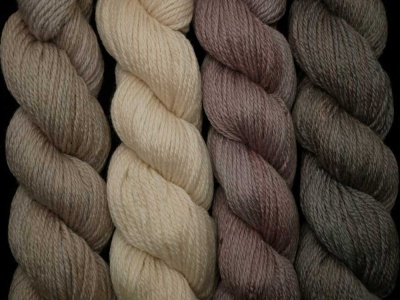 The suggested yarn is simply "any sport weight yarn." The gauge is not important, though the suggested needle size is US 5 or 6, double pointed needles. 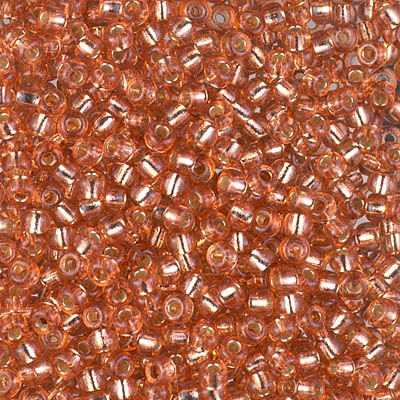 You will want to add beads of your choice, these being sewn on via bead thread so that size is a matter of personal asesthetics. Maryanne put buttons at each flower center. We chose to add large tear drops for a somewhat different look. We are really enjoying ours, both the making and the wearing.